Brand new, high resolution screenshots of Crystal Dynamic's new entry into the Tomb Raider series, Rise of the Tomb Raider, were just revealed a few hours ago via All Games Beta. The screenshots showcase the new Siberia environment Lara will be fighting through. The game will feature dynamic day and night cycles and inclement weather. Key gameplay features include being able to kill animals and humans to upgrade weapons, and being able to craft better weapons when you kill tougher opponents. The game will come with an expanded crafting system that involves collecting items such as "plants, minerals, metals, clothes, hides, and rare relics" which can then be used to create weapons to add to your arsenal, traps, healing items and much more. Lara has also gained the ability to climb trees and swim underwater, which will add a "play your way" element to the game. You'll be able to use her new abilities to kill with stealth or go in guns blazing. The world of Rise will be bigger than the last game. The developers and Crystal Dynamics have admitted that dividing the game world into "hubs" will make a return, but they will make them a much bigger size than the last game. The new world will affect the player in many different ways. The new dynamic weather system affects the player by allowing certain equipment to only be used at a certain time of day or make certain items available when the weather permits it. 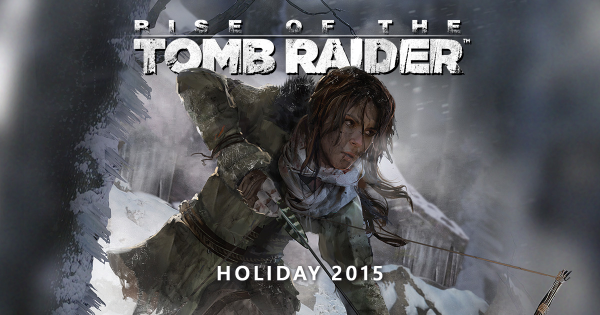 Rise of the Tomb Raider is being released as a timed exclusive for Microsoft consoles this holiday season.